Using cold to lose fat, a more natural to slim down. Tailored for busy lifestyles; take it out, put it on and repeat. Will work best when combined with proper diet and exercise program. Have you ever seen someone with the most beautiful hairstyle and wish to have the same? In most cases, though, to get that particular hairstyle, you will need to let your hair grow out. Now, only if there was a magic potion to grow your hair quickly, right? Sadly, there isn’t, which is why we aim to talk about how to accelerate hair growth in this article. While you may have seen ads for certain hair oils or serums that claim to grow your hair at lightning speed, let us tell you right away that these claims aren’t true. Sure, they may help to a certain extent, but nothing will grow your hair instantly or overnight. So, don’t bother with all these claims and let us give you some top tips on growing your hair quickly. How to Accelerate Hair Growth? Scientifically, on an average, human hair grows at the rate of half an inch every month. It could be lesser or may be slightly more, but there are no proven ways to make your hair grow significantly faster than half an inch per month. With that in mind, rather than aiming to unrealistically growing your hair faster, what you should try to understand are the factors that slow your hair growth and how you should be avoiding them. After the intestinal cells, the human hair is the fastest growing cell in the body. In fact, the average scalp will approximately have about 120,000 strands of hair growing on it. With that being said, the hair is not an essential tissue nor is it a vital organ. Hence, in that case, your body will never put the hair’s nutritional needs ahead of anything else. So, when you have a nutritional imbalance in your body, it will first take a toll on your hair before anywhere else. While growing more than half an inch a month is very difficult, it is possible to grow your hair slightly quicker. However, that entirely depends on genetics, which is also known as the gene lottery. There are certain remedies that you can try to encourage a better supply of normal and healthy growing hair. Some of the tips we have listed below are everyday lifestyle tips that don’t just benefit your hair but also your entire well-being. Since our hair is a representation of our overall health, it comes as no surprise that what we put inside us makes a massive difference on its appearance. So, for a well-nurtured and nourished hair, there are certain things you must regularly do and add to your diet. Water: Just like your skin, your scalp also gets dry. To address this, ideally, you should consume about two to 2.5 liters of water every single day. If you work out or live in an area with a warm climate, then adding half a liter more is necessary. Vitamin C: Vitamin C, which is a resource for producing the necessary collagen for hair growth, is needed for having healthy skin and hair. This acts as a major antioxidant, which will fight the cellular damage we do on a regular basis. Sweet potatoes, red peppers, and citrus fruits are some of the excellent sources of Vitamin C.
Biotin: Like all cells in our body, hair cells are also coated with a fatty membrane. For these cells to multiply and grow healthily, it is necessary to keep the fatty membranes healthy as well. This can only happen when you have the right diet that includes a healthy amount of fat. Some of the top natural sources of biotin include nuts, salmon, oysters, and avocados. Protein: Since our hair is protein-based, it is essential to consume more protein. Having a serving of roughly 120 grams of meat protein for your breakfast and lunch would be ideal. If you are a vegetarian, you can get these 120 grams of protein from beans, legumes, nuts, and tofu. Breakfast: There is a good reason why our parents told us that the breakfast is the most important meal of the day. A nutritious breakfast is basically like refueling most of your body, which also includes your hair follicles and your scalp. Having a meal that contains all the above will give your hair cells all the energy it needs to be formed. Shampooing too often will result in your hair becoming drier and more brittle. It also strips away the scalp and hair off of their natural oils and sebum. What you will need to do is use a good conditioner daily. Using a conditioner will help in maintaining the ends of the hair. It will also minimize the risk of split ends, tangles, and breakage. The conditioner is used to replace the natural oils that are washed away. Hair cells rely on oxygen in order to stay healthy and duplicate. The oxygen can only reach every cell through blood circulation that is fully operational. A half-an-hour-long cardio three times a week is recommended. At the same time, also make it a habit to massage your scalp regularly as that will help the hair cells too. Sleep also plays an important role in your hair growth. Ideally, about eight hours of sleep every night is perfect. It is during these eight hours that the body gets the chance to repair itself. This is also the window for more growth hormones to come out, which in turn speed up the process of cell reproduction. Furthermore, sleeping will increase the blood circulation too. When your hair is dripping wet, it is at its most vulnerable state to break. Combing it then will result in you stretching and pulling it, which will cause damage. So, before combing, dry your hair with a towel until it is just damp and then gently use a comb or a brush. Do not rush this process. Even the drying process should be gentle. Do not quickly rub your hair with the towel. Knowing how to accelerate hair growth entirely depends on how much you know about hair and how they develop and grow. We hope that this article has given you enough insight into this matter. While you cannot magically grow your hair overnight, you must ensure that you keep yourself healthy to promote good hair growth and avoid damage. Follow our list of tips to the T, and we are certain that you will have healthy hair in no time! Hair is undoubtedly one of the most important features of our physical appearance. This applies equally to women and men. Unfortunately, the appearance and the quality of hair tends to fluctuate. This can happen due to multiple factors. The first important one being age. As we grow, our body slows or even loses its natural ability to produce certain vitamins in our body. This leads to hair loss or hair thinning, among many others. Other factors that affect our hair include genetics, stress, lack of sleep, eating unhealthily, excessively using hair products, and the likes. There are multiple solutions to tackling such issues. Living a healthier life tops the list, of course. Now, you may have noticed the market flooded with hair supplements. These are gaining a lot of popularity. Hence, we decided to review a popular hair supplement in particular—Hair Strong by Vali. Bear in mind that this is just a hair supplement and not a drug. While it may help tackle your hair-related issues, this supplement is not a solution for it. The company Vali was created by its founders because of their desire to find out what exactly goes into different kinds of supplements. For this reason, they made sure that their products are only made from quality ingredients. With each product they offer, they ensure real results minus all of the marketing fluff that several other companies use. This, in turn, led these companies to charge exorbitant prices, which is something that Vali refuses to do. All of their supplements are made in the U.S. in an FDA-registered, cGMP facility. Their ingredients are always tested by trusted third party laboratories. What Is Hair Strong by Vali? Hair Strong by Vali is a formula that helps promote healthy and better-looking hair. This formula is specifically created to absorb into one’s system and reach into the root cause of the problem to help support the strength and improve the growth of the hair. In order to achieve optimal results, you must carefully follow the dosage directions mentioned behind, on the bottle. Incorporating this supplement into your haircare routine regularly and as directed will help you get that full set of luscious, beautiful hair that you’ve been wishing for. Hair Strong by Vali contains supplements such as various minerals, essential vitamins, herbs, proteins, amino acid protein, nutrients, and nourishment for your body. These are imperative for the hair to grow thicker and maintain a vibrant look to it. This supplement is completely safe for vegetarians to consume. Since most of our diet nowadays lack such critical nutrition that the hair longs for, taking [amazon link=”B0743KTM9B” title=”Hair Strong by Vali”] on a regular basis will ensure that you have a fuller, healthier, natural, and great-looking hair right from the roots and follicle, going all the way to the end of each strand. Most of these ingredients are derived from natural substances, which are specifically formulated to enhance not just the health but also the appearance of your hair. Furthermore, since all of these are natural, they are completely free from fillers, additives, synthetic substances, chemicals, and other harmful substances. For this reason, you can be certain that no other physical ailments will occur when you consume this supplement. While the product is meant to improve your hair health, all the ingredients in this supplement will do wonders for your nails and skin as well. What do we mean by this? Hair Strong helps in achieving shiny nails, which become less prone to cracking and breakage. Additionally, over the course of time, you will notice that this supplement will also make your skin appear more even, glowing, and has improved elasticity and vibrancy. The company takes great pride in the excellent quality of their product, which is why they offer you a 100% money back guarantee in case you aren’t satisfied with it. Furthermore, if you have any complaints or suggestions, you can get in touch with their customer care service too. Hair Strong by Vali is an excellent way to tackle your hair-related problems. One container contains 60 capsules, which will easily last you for a month. This supplement is a perfect blend of all essential nutrients, minerals, and vitamins that help promote healthy hair. In addition, the supplement also helps improve your nails and skin simultaneously. Lastly, the company offers a money back guarantee if you are dissatisfied with their product. Not a fan yet? It only makes sense to put Hair Strong by Vali to test by comparing it to another hair supplement. Since there are several of them in the market, finding one to compare wasn’t so difficult. We found that [amazon link=”B014G3WK9U” title=”Olly Undeniable Beauty Supplement”] is very closely similar to it. On the surface, both of these supplements are very similar. They even come in a bottle that both will last for a month. However, the biggest difference between the two is that Hair Strong comes in the form of a capsule while its counterpart comes in the form of a gummy. While gummies may be easier to consume, the sugar level in these is very high. This makes it out of reach for diabetics and the health conscious. Furthermore, Hair Strong contains far more essential nutrients than its counterpart too, which means it not only works faster than the gummies but will also do so far more effectively. Hair Strong by Vali is a brilliant supplement to promote the health of your hair. It is made from all the essential vitamins, minerals, and nutrients that will not only make your hair better but help in improving the health of your skin and nails as well. One bottle of Hair Strong will last you for a month, and in a couple of months of use, you will begin to notice how amazing your hair, skin, and nails will be doing. Hair loss and thinning hair is not only a problem that older men face. This is something that affects anyone who has vitamin deficiencies and poor nutrition. If a person’s hormone levels have some sort of imbalance, that too will damage your hair. In such cases, having the best vitamins for hair growth becomes absolutely imperative. While these vitamins serve a great purpose for helping tackle hair damage and hair loss issues, it is important to note that this is not a drug and it will not completely solve all your hair-related issues. In tandem with these vitamins, it is imperative that you maintain a healthy diet by consuming vitamin-rich foods, consuming ample water throughout the day, and maintaining a healthy lifestyle in general. It is a known fact that you will find several vitamins for hair growth in the market. So, we carefully tested and reviewed several of them and narrowed it down to the top three based on how well they worked. Below, we will review each of them to help you make an informed decision. Naturenetics is a company that mainly focuses on providing effective products that are completely natural to help you effectively meet all your nutrition and health goals. The company only uses high-quality ingredients that have been shown to be safe and effective, and they follow strict regulations set by the FDA and Good Manufacturing Practices (GMP). With 11 active ingredients and 5,000mcg of biotin per serving, HairAnew is a brilliant vitamin to help boost your hair growth. These 11 ingredients are specially selected to nourish your hair from within. They also address the nutritional deficiencies that cause hair fall, reduced hair growth, and even hair thinning. The company manufactures HairAnew to the highest GMP and NSF standards inside a state-of-the-art facility based in Oregon. Before they become available for retail, the vitamins are thoroughly tested by six independent laboratories. This product is safe to consume by vegetarians and vegans alike, as it contains no animal products or collagen. Furthermore, it is completely sugar-free, soy-free, gluten-free, and also non-GMO. The product has been tested thoroughly for allergens. HairAnew is meant for everyone over the age of 18. It is also suitable for any hair type—be it curly, straight, coily, wavy, etc. The product has been on the market since 2014, and the company has sold over 11 million capsules. 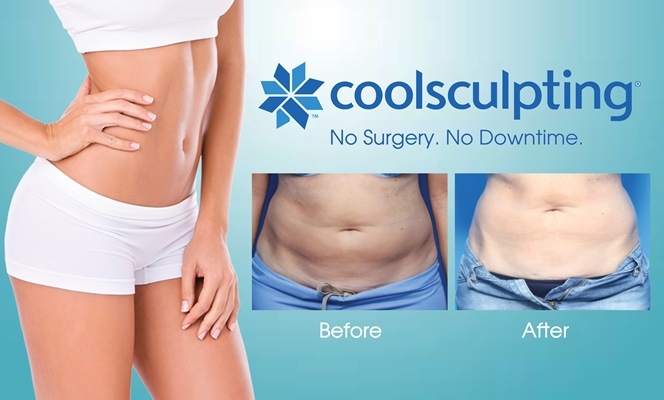 The company claims that it will take roughly one to two months to see a noticeable difference. Since this product contains biotin, it will also give you thicker eyelashes and eyebrows as well as glowing skin and strong nails. Pure Results Nutrition’s motto is “excellence is not a choice, it’s a must”. Keeping that in mind, they have created supplements that are highly beneficial for your well-being and only manufactured them in the U.S. under the strict manufacturing guidelines set out by the FDA. All the ingredients in their products are safe and legitimate. The Newopure: Advanced Hair Support Formula is an effective way to promote hair growth as it contains anti-hair loss, broad-spectrum DHT blockers. This product is a brilliant blend of all things natural along with science. The vitamins address deficiencies that lead to hair loss, hair thinning, receding of the hairline, alopecia aerata, hormonal hair loss, stress hair loss, and so on. This means that this product addresses the root of the problem, nourishing the scalp along with the hair follicles in order to reverse the damages. The vitamins are available in a bottle of 60 capsules. Each of these capsules contains powerful ingredients such as fo-ti, biotin, collagen, keratin, MSM, and others. What’s more interesting is that there are no preservatives and fillers in this product. The company claims that while the vitamins are highly effective, they are extremely gentle on the body. The Newopure: Advanced Hair Support Formula can be used by men and women and will effectively treat any and every type of hair. Lastly, the company is so confident about their product that they offer you a 90-day money back guarantee in case you are not satisfied with the results. 1 Body is a company that is well-known to create several premium nutritional supplements for hair, skin, brain, thyroid, liver, and many more. It aims to help people by providing them with great products at affordable prices. The ingredients they use are tested thoroughly before the manufacturing process, and they manufacture these supplements in the U.S. only in a cGMP certified facility. Hair, Skin, & Nails by 1 Body is an all-in-one supplement that contains vitamin C for collagen production, vitamin B complex for skin health, and many other nutrients that will help you achieve more glowing and youthful skin. The biotin protein that promotes hair growth will also help you have stronger nails. It comes in the form of a capsule, and one bottle contains 60 capsules. The product contains no harsh chemicals as well. These hair vitamins are a unique combination that helps support the growth of your hair without Propecia and is significantly cheaper than buying an overpriced branded shampoo or doing a keratin treatment at the salon. Hair, Skin, & Nails by 1 Body contains saw palmetto, B-12, choline, and other natural vitamins to prevent hair thinning and hair loss from DHT. There is no soy, gluten, sugar, and artificial colors or flavors in this product. These three are among the best vitamins for hair growth that you can find on the market today. Choosing any one of these three will definitely help you tackle your hair-related issues better. If we have to choose between the three of them, our top pick would be the HairAnew by Naturenetics. Why? While all of the supplements we have listed contains almost the same vitamins, we found that the HairAnew worked better among all three. It also showed results far more quickly than the rest.